I have been reading about how the City of Glendale is doing their best to keep the Phoenix Coyotes in Arizona for two years now. Not once have I heard the real reason why Glendale wants to keep the Coyotes so bad. If it’s not blatantly obvious by now, it’s because the City of Glendale is the proud owner of the $180 million Jobing.com Arena (formerly Glendale Arena built in 2003). It all boils down to economics. If the Coyotes left Arizona, the City of Glendale would be stuck with a $180 million building with no primary tenant, and the Westgate City Center would lose a ton of tax revenue that the Coyotes bring into that area during their 41 home games each season. The City of Glendale relies on the Coyotes team payments, and the sales taxes spent by the fans at the Westgate City Center to pay off the $180 million Arena. If the team goes away, so do all the sales tax revenues, and the City of Glendale may not be able to repay its loan. The City of Glendale is so desperate to keep the team at Jobing.com Arena that they have offered to give businessman Matthew Hulsizer $100 million to purchase the Coyotes. The City says that the money would be raised through the sale of bonds. To further enhance the deal, Glendale was also willing to pay Mr. Hulsizer $97 million to manage Jobing.com Arena over a five-year period. 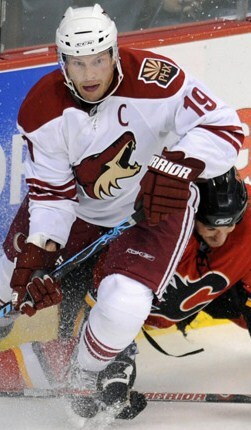 Mr. Hulsizer was to receive $197 million from the City of Glendale to purchase the Phoenix Coyotes. The Coyotes were for sale for a mere $140 million, which was what the NHL paid to get the team out of bankruptcy in 2009. Does it make sense for the City of Glendale to pay a new owner $197 million to buy the Coyotes for $140 million? In return for the money, the City of Glendale was to receive parking rights for the Arena and a guaranteed lease for 30 years, ensuring that the Coyotes will remain in Glendale. Yes, in return, the City of Glendale would be able to charge for parking and utilize those revenues to repay the $100 million in bonds that they sold. If the parking revenues were not enough to repay the $100 million, the City of Glendale had promised that taxpayer money would close the gap. This sounds like a raw deal for both Phoenix Coyotes fans, and City of Glendale residents. Here is a team struggling to build a larger fan base, and the City of Glendale is telling the fans that they will have to pay for parking to see a Coyotes game, because they just gave their new owner $197 million to buy the franchise. The Coyotes have the second worst attendance in the league, with an average crowd of 11,434 per game. Jobing.com Arena can hold 17,125 hockey fans. On top of that, the City of Glendale is telling its residents that if the City does not generate enough parking revenue to repay the $100 million in bonds issued, they will make up the difference with higher taxes. The media wants to portray the City of Glendale as trying to protect the Phoenix Coyotes, but in reality they are just trying to protect their assets, Jobing.com Arena, and their revenues, Westgate City Center. The Phoenix Coyotes mean so much to the City of Glendale, that they have doled out $50 million to the NHL over the last two years in order to give them time to find a new owner. In addition to that, they have spent $4 million in attorney fees, and are willing to pay a new owner $197 million just to keep the Coyotes in Glendale. Can the City of Glendale ever recoup the $54 million they have already spent? Will the City of Glendale be able to afford paying a new owner $197 million? 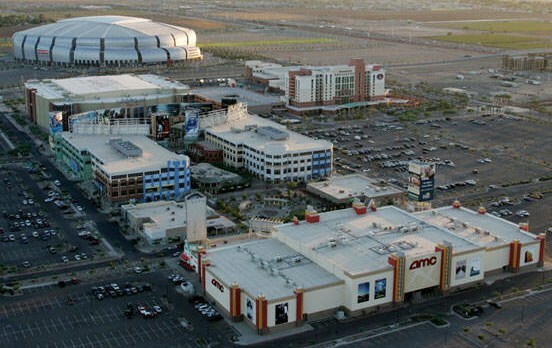 Will the Westgate City Center become a ghost town if the Coyotes leave? Will the City of Glendale go bankrupt if the Coyotes leave? Instead of playing hardball with former owner Jerry Moyes, the City of Glendale should have just let Moyes sell the Coyotes to BlackBerry billionaire Jim Balsillie in 2009 for $242.5 million, and let the team move back to Canada. Part of that offer was to give the City of Glendale $50 million. So instead of being $54 million in the hole over the last two years with the Coyotes, the City of Glendale would have had $50 million paid to them. That alone is a difference of $104 million over two years. Not to over-simplify things, but here’s an idea. 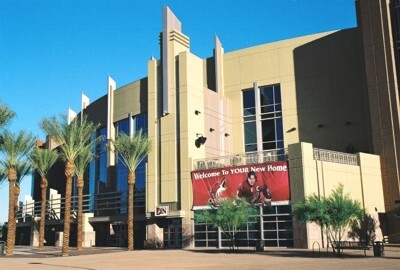 In order to make up for the loss of the 41 Coyotes home games each year, the City of Glendale could schedule more concerts or other events at Jobing.com Arena throughout the year. The Coyotes were averaging only 11,434 fans per game, so that adds up to 468,794 people in a year. let’s say that without the Coyotes, Jobing.com Arena was able to secure 30 additional events per year. Jobing.com Arena can hold 19,000 fans for a concert, but let’s say they only sold 16,000 tickets for each event. By having only 30 events, Jobing.com Arena could reach an attendance of 480,000, which was more than the Coyotes brought in a full season. Fewer events, more people, and more revenue for the surrounding Westgate City Center would be another win-win for the City of Glendale. To top it all off, the City of Glendale could have started charging a minimal fee for event parking two years ago. In just this example with 30 concerts, charging $5 per car, the City of Glendale could make an additional $1 million each year. This is a very low estimate, as the numbers could be more than $2 million per year depending on the number of events, attendance, and the pricing structure. This parking revenue is money that the City of Glendale could keep for themselves and not have to worry about increasing the City taxes to repay bonds issued. All in all, I hate to say it, but the Coyotes have never made any money in Phoenix (losing $30 million in ’09-’10 and $37 million ’10-’11), and are not supported with a large fan base. The City of Glendale should cut their losses and just let the Phoenix Coyotes go. ~ by Troy Erickson Realtor on May 13, 2011.